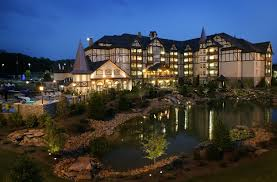 So what could be better than going to the Great Smoky Mountains for the Christmas Holidays and staying at The Inn at Christmas Place in Pigeon Forge? 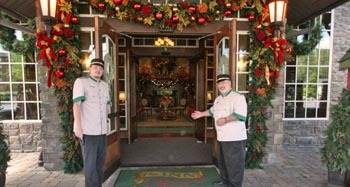 The four star Inn is designed with a Bavarian architectural style and is beautifully landscaped. The pond in front reflects the hotel and lights and is home to visiting waterfowl. Any snow that might fall only highlights the beauty of the hotel and its surroundings. the street is the South's largest Christmas store, the Incredible Christmas Place! 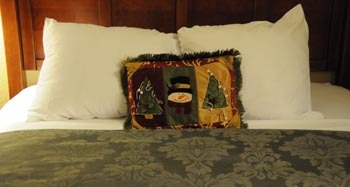 The Inn at Christmas Place has excellent amenities. There is an inside and outside pool, a hot tub inside around the pool, and beautifully appointed rooms, all with Christmas decor. You can choose King Bed Suites, rooms with Jacuzzi tubs, fireplaces, kitchenettes and beautiful bathrooms with marble-topped vanities. The hotel offers car-to-room service with their uniformed Bellmen, and a Concierge in the lobby seven days a week from 9:00 am until 5:00 pm to assist you with planning, tickets and reservations. Visit The Inn at Christmas Place any time of year and try to experience during the Christmas holidays to immerse yourself in the Christmas spirit. It will be a happy and joyous experience. Be sure and download the BRG App for other area deals. You can go to the Best Read Guide website at http://www.bestreadguidesmokymountains.com/ to download the App, find coupons and get area information. 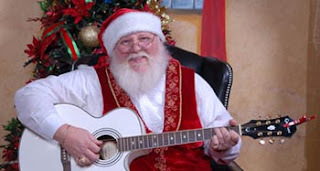 Enjoy your stay and Merry Christmas to all!